NHS of Chicago, a leading non-profit housing counseling agency will be -working with Freddie Mac in order to promote female homeownership in the local Chicago market, through the Women’s Homeownership Initiative. The initiative is made possible, in part, to a contribution from Citigroup. A series of workshops targeting aspiring female homeowners will be delivered with the goal of igniting a new wave of female homeowners. The Women’s Homeownership Initiative hopes to reach hundreds of local women through alliances with female-focused community organizations and using the Credit Smart® financial education curriculum developed by Freddie Mac. 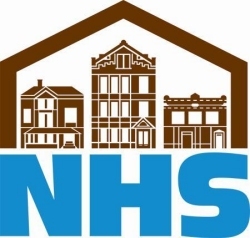 By working with lenders, businesses and government agencies, NHS of Chicago has been able to offer Pre-Purchase Education, flexible loan products and assistance with down payments to aspiring local homeowners. These benefits will be included and extended within the Women’s Homeownership Initiative. “Freddie Mac is committed to responsibly expanding homeownership opportunities for America’s working families, including families headed by women. CreditSmart is a proven tool for preparing borrowers for successful homeownership. We look forward to joining with NHS of Chicago and their partners on this important new effort to strengthen Chicago neighborhoods,” said Christina Diaz-Malone, Freddie Mac vice president of Corporate Relations and Housing Outreach. The Women’s Homeownership Initiative will aim to assist a generation of women in providing stable homes for themselves and their families, at the same time becoming invested in the community and helping restore vitality to Chicago’s neighborhoods.